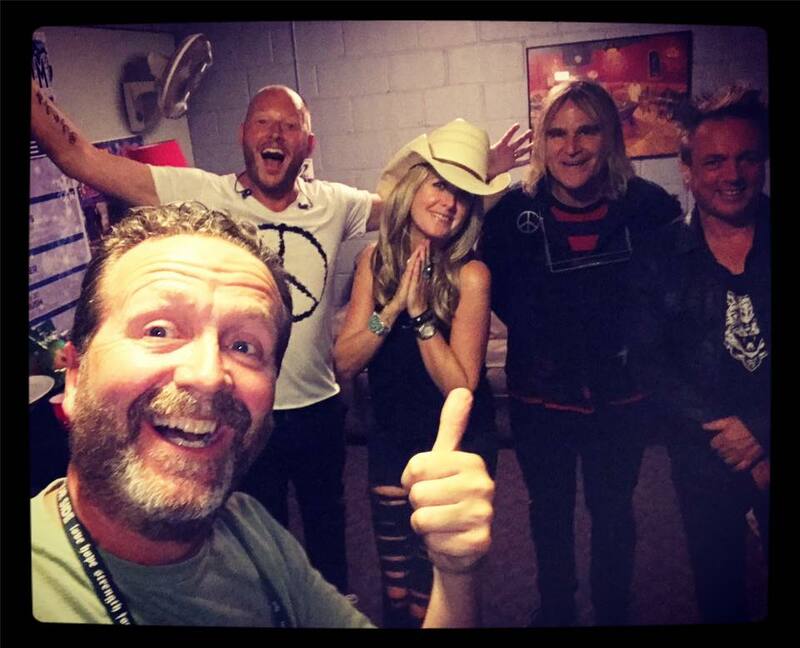 The Alarm tour began the long haul back towards the East Coast with a stop at Salt Lake City. 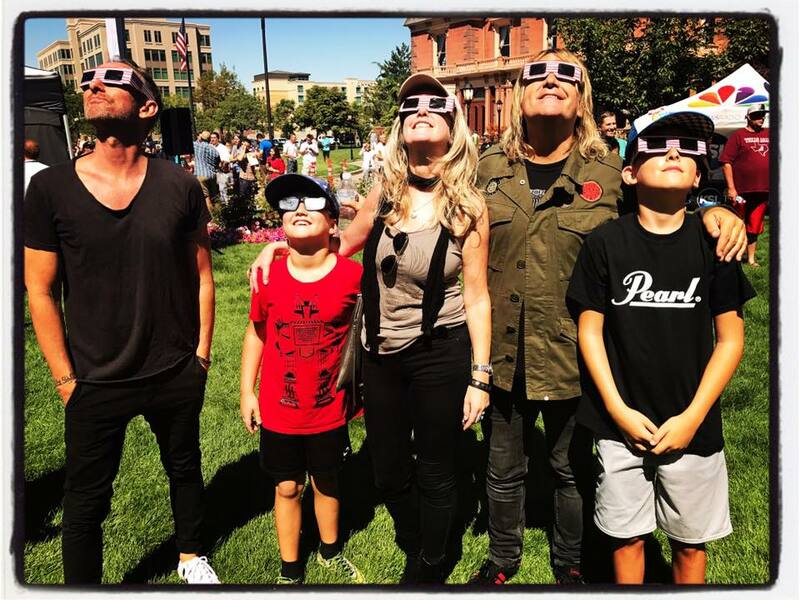 It was the day of the Solar Eclipse and Mike and Jules Peters were both booked in for an extensive day of radio and TV interviews beginning at 8.00AM with a live on air spot at KSL from downtown Salt Lake City. Today’s promotional activities are all to promote the ‘Man In The Camo Jacket’ screening at the Broadway Cinema ahead of The Alarm show at The State Room. Both events are completely SOLD OUT. 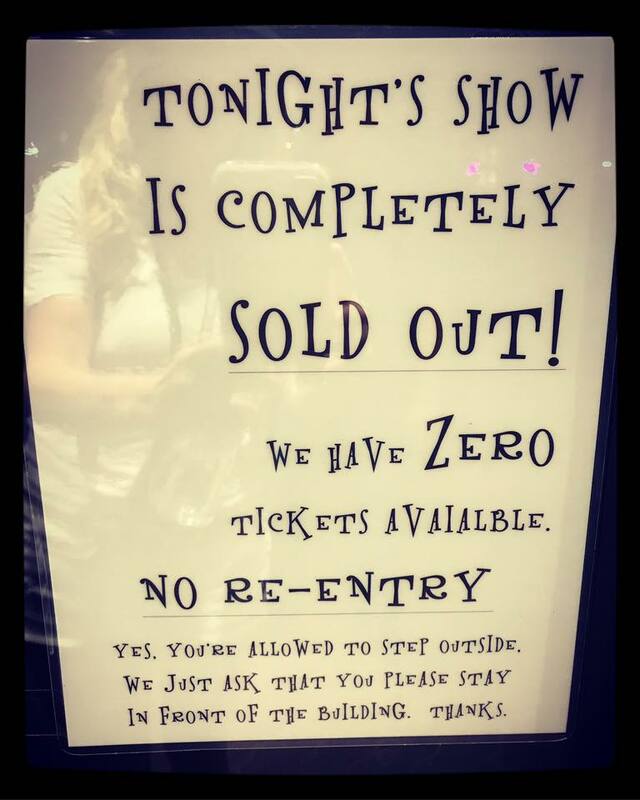 In fact, the date at the State Room was the first venue of the tour to sell out with all tickets being sold before the band arrived in the USA way back on June 5th 2017. Tonight’s screening of Camo Jacket is being hosted by production company Kaleidoscope Pictures and features introductions and Q&A with both Russ Kendall (Director), and James Chippendale (Producer / Co-Founder of Love Hope Strength). 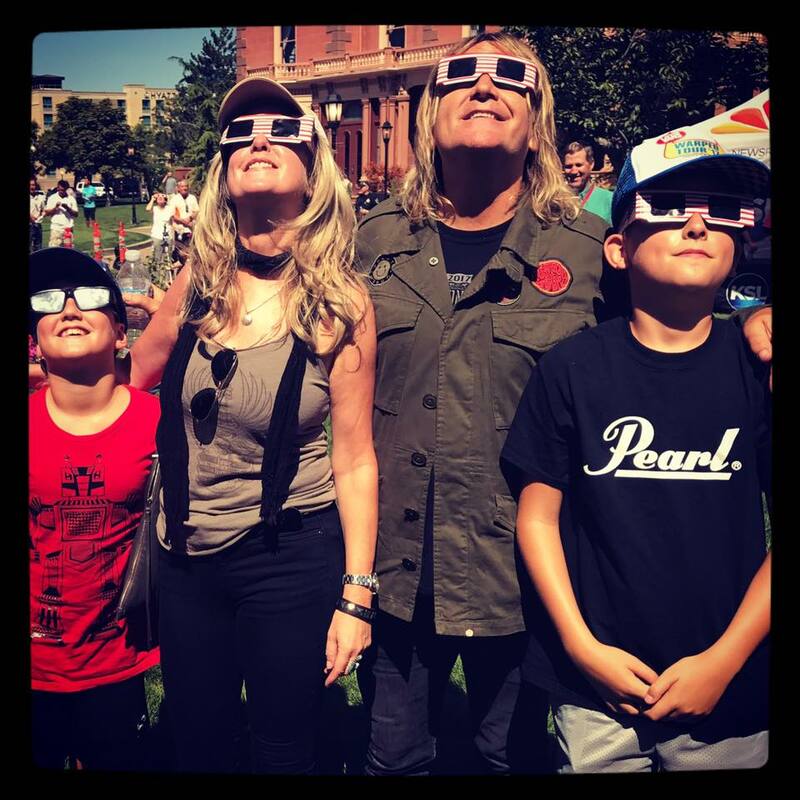 It was a long day for Mike Peters who admirably stayed up beat through a whole host of interviews and questions only stopping for a few minutes to take in the splendour of the Eclipse with Jules and their children – Dylan and Evan. The concert at the State Room is an old church style hall with standing room and pew seeing at the back. The setting for a potentially amazing show. After soundcheck Mike and Jules were driven to the Broadway Cinema and a standing ovation greeted the couple after being introduced by Russ Kendall and James Chippendale. 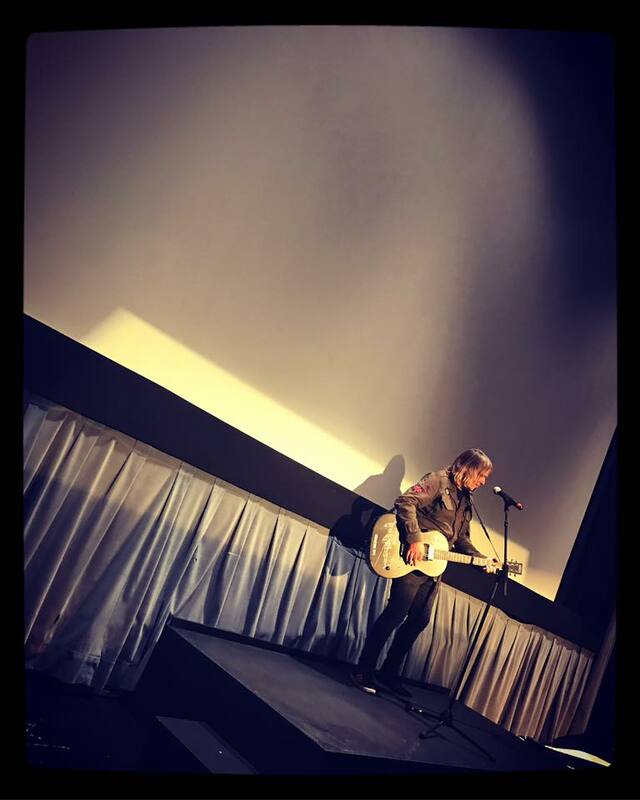 An in depth interview by the Professor of Rock followed with Mike Peters then taking out his guitar for a three song acoustic session. It was powerful witness. Photos and guitar signings followed and soon the entourage were back in the dressing room at The State ready to rock. 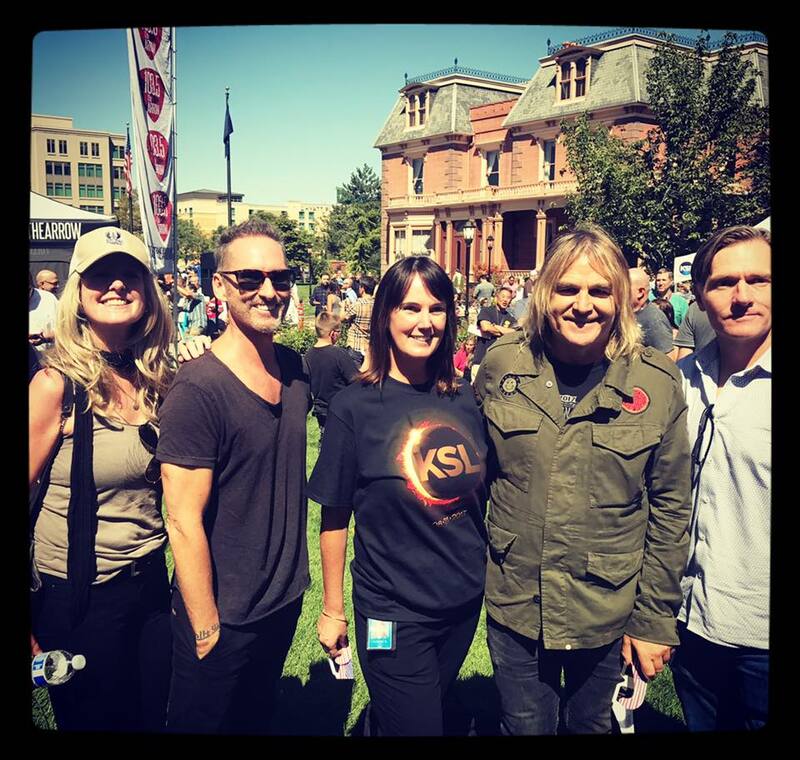 The houselights went down and the band hit the wide stage, with Mike Peters running back and forth across the microphone positions – a unique style that has captivated audiences across the entire USA this summer. The band were on top form and so were the audience, who were pumped up for every song. It was electric, although a technical hitch meant the band had to perform an improvised ‘Rain In The Summertime’ with Mike promising to play the song again later in the evening. The songs kept on coming though and next up was ‘Rescue Me’ which has been transformed into a call and response rocker on this tour and sounds fresh and exciting. ‘The Stand’ always kills it in concert, and tonight featured a nod to the the Bob Dylan meets The Clash comparison with a burst of Joe Strummer lyrics from ‘Magnificent Seven’ and even a few lines from Bob Dylan’s – ‘All Along The Watchtower’. The audience rose to meet them and Mike Peters ran up an opening acoustic ‘Unsafe Building’. 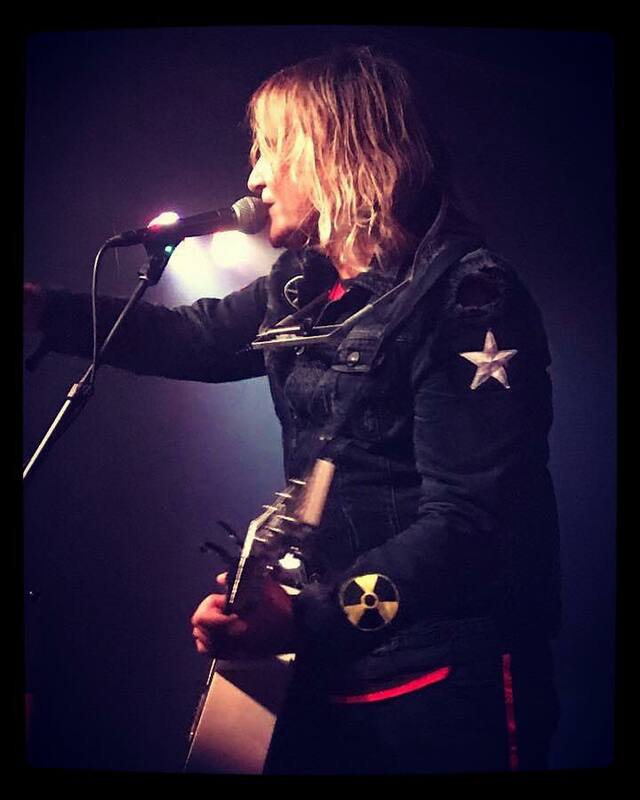 ‘Shout To The Devil’ followed with the introduction of both Smiley and James Stevenson one by one, combining to generate the tribal rhythm of the first song The Alarm ever played live. 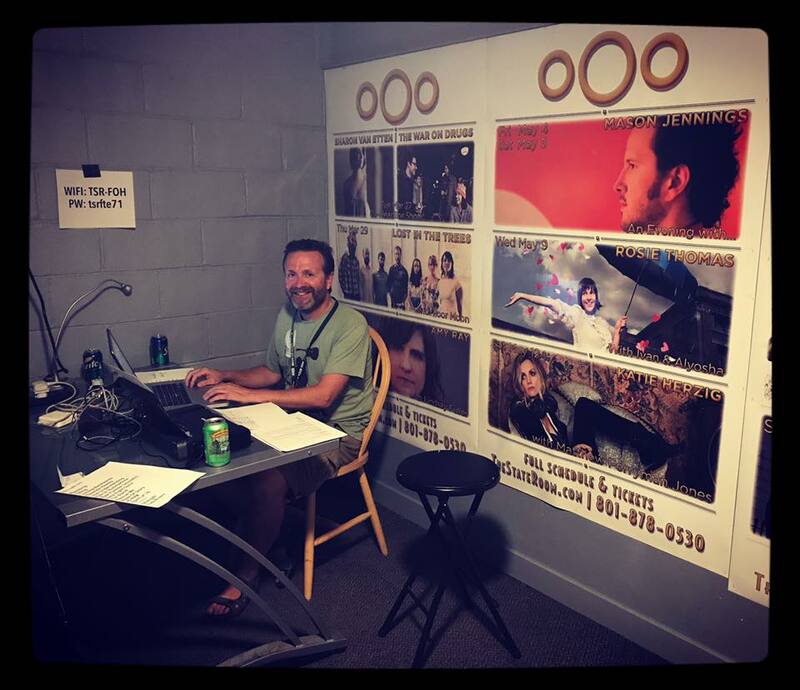 It was a great start that allowed Mark Warden to dial in the sound at the same time. 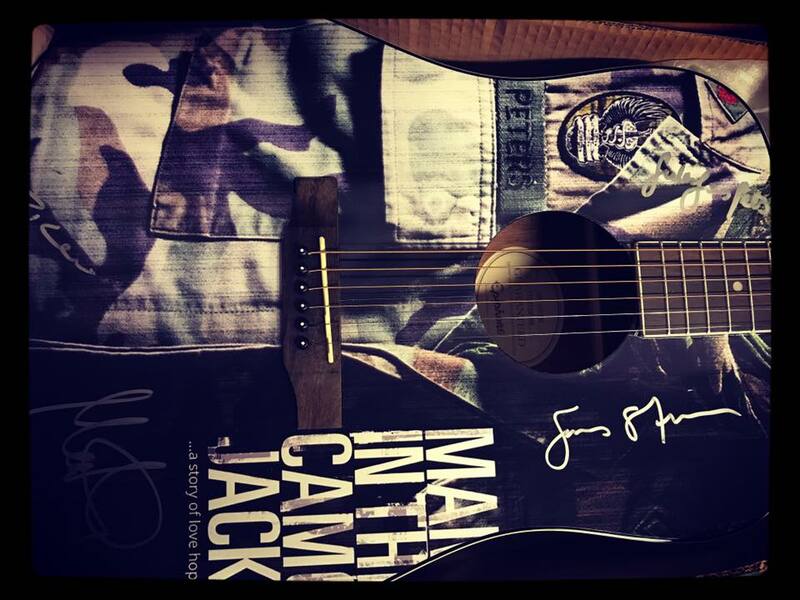 ‘Marching On’ came next with the electro-acoustic volume kicking out the signature sound of The Alarm. Denver was rocking from start to finish and the mile high energy and emotion of “Strength’ brought the almost two hour set to a close. Afterwards, people swarmed to the Love Hope Strength booth to register and get swabbed and another potentially life saving concert left a lasting impression and the potential to become even more meaningful in the future. 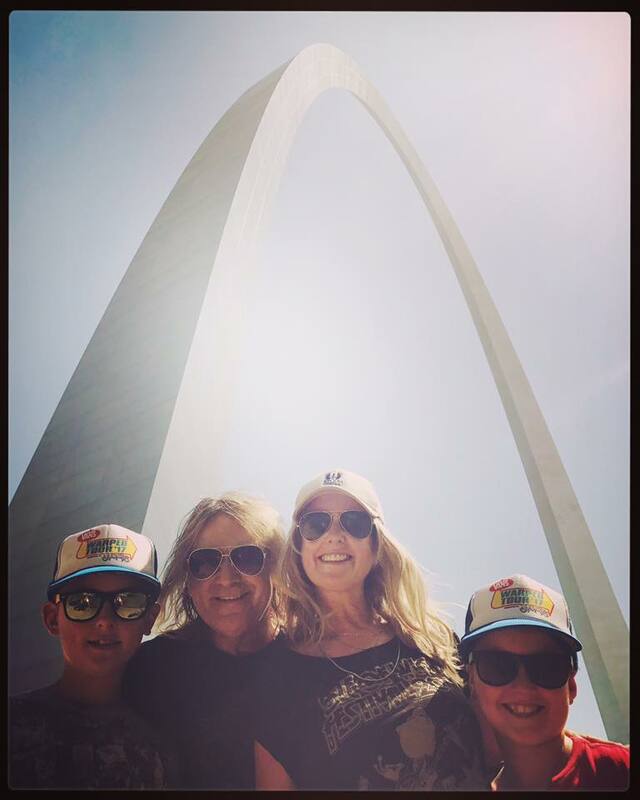 It was long drive through Kansas and Missouri to St. Louis in readiness for a show at The Ready Room. Mike Peters wasted no time in pulling out all the stops. At one point early in the set he brought out Pat Lacey on to the stage (Pat was general manager of the old Mississippi Night that The Alarm had played in the eighties). 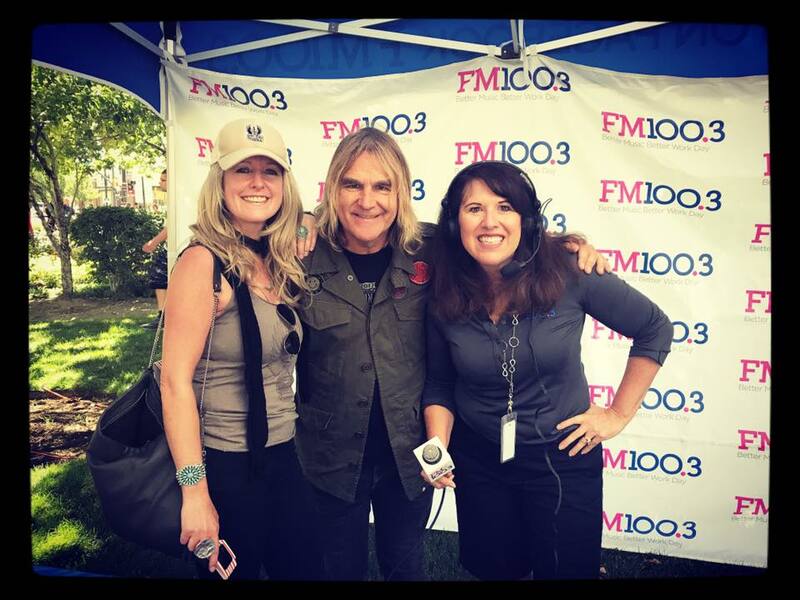 Pat and her late husband Ed, had visited many, many Alarm shows in the last 30 years and Mike thanked her for such dedication and describing her as ‘The Mom’ of The Alarm. Pat asked Mike to play ‘Walk Forever’ and so led her back into the audience and sang the song right there amongst all the fans. It was a great moment. Back on the stage and during an extended acoustic section, Mike took requests and somehow managed to put together a medley of ‘Reason 41’, ‘One Step Closer To Home’, ‘What Kind Of Hell’ and ‘In A Big Country’. It seemed like yet again, the set list was being ripped up and you could see the communication going out across the stage from Mike to Smiley to Jules to James. This is a band that knows how to adapt that’s for sure. A great night finished with a brilliant ‘Two Rivers’ which has (in recent days), gained a new beginning and middle section, reinforcing the flow of ideas, fluidity and interchangeability of the musicians on the stage. No time to stand still and admire the view though… next stop Chicago. An overnight drive to the studios of WGN News Chicago in order for the band to record a three song set for broadcast on the day of the City Winery show is called for. The band and crew have made a special effort for this one as it’s a big show, with a mass of viewers. 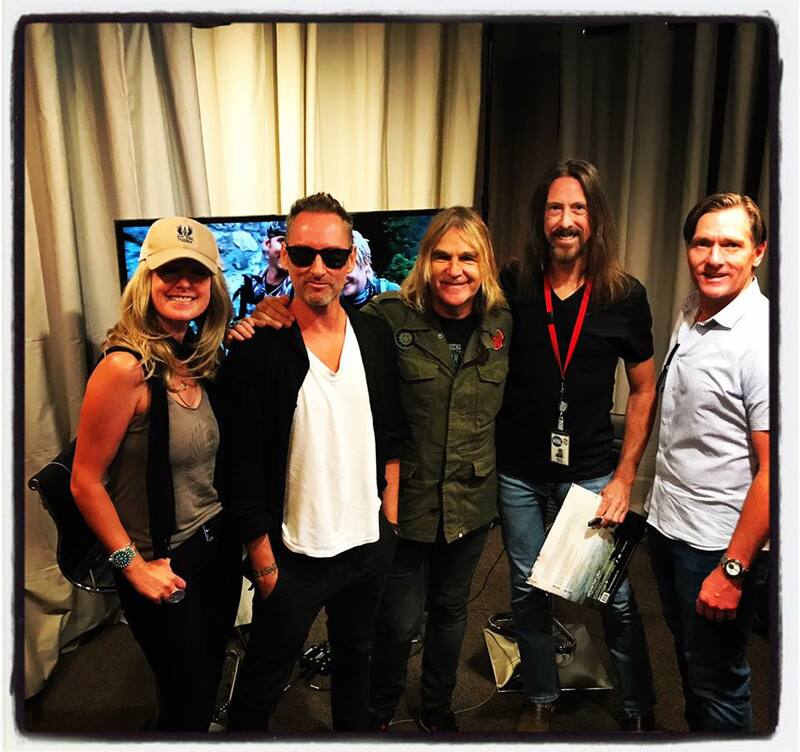 WGN originally wanted the band on ‘live’ but the schedule was too tight, so it has been decided to tape in between the other productions of the day and time is of the essence. 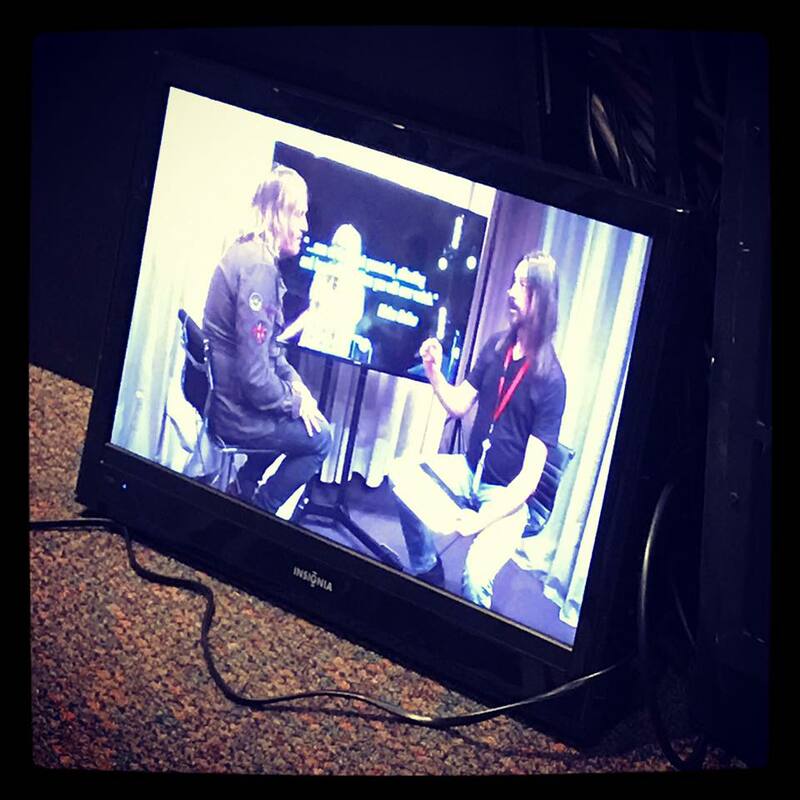 Upon arrival at 11.00am, Jeff Hoover the experienced producer, explains what he is looking for to Mike Peters. The gear is set up, sound levels taken and soon it’s time to record in the short window between shows. No panic, these guys are professionals! WGN want two ‘teaser’ versions of ‘Marching On’ and also ‘Strength’ plus a full arrangement of ‘Rain In The Summertime’. Mike takes control of the stage floor and directs the band on how to perform the short rearrangement of both ‘Marching On’ and ‘Strength’. The cameras roll and The Alarm nail these two ‘killer’ short teaser versions in the first take with everyone throwing themselves into the performance. Next up, ‘Rain In The Summertime’ fills the sound stage with all it’s glorious chord structures and sweeping melody. The band look fantastic on the playback monitors and the production team are ecstatic with the look and sound. Job done, and it’s time to drive up to Skokie for an outdoor set at the Backlot Bash. The tour bus parks on the street behind the stage structure that has been cordoned off for the festival. The Backlot Bash is outdoors in the city centre of this northern suburb of Chicago. The band soundcheck and Mike and Smiley have fun with a frivolous version of Bohemian Rhapsody around the piano. At precisely 6:45 the group are introduced by James VanOsdol from Chicago’s influential radio station 97.9 The Loop and immediately launch into a sixty minute set of The Alarm’s finest. ‘Coming Backwards’ is an early highlight as it drives itself into the heart of a large and growing by the minute audience. It soon becomes apparent that something special is happening. A rapport is developing between Mike and the crowd. ‘Rain In The Summertime’ kicks in and the pressure gauge is released. The event takes off with band and audience united through melody and the beautiful sensation of the seeing the sun go down behind the stage. The concert ends with a massive version of ‘Strength’ that can only be followed by one song – ‘Two Rivers’ with the refrain being sung by a mass audience on the streets of Illinois. What a night and what a triumph for The Alarm. No peace for the wicked though as it’s a long drive to Detroit through the night. 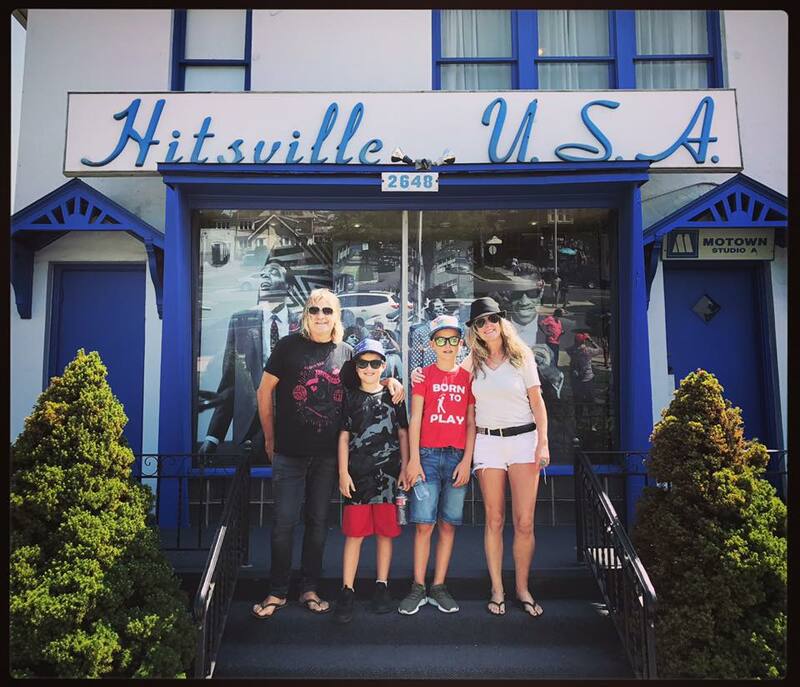 Waking up in the Motor City outside Hitsville USA and the home of Tamla Motown the team assemble outside the famous recording studios for photographs and then head to the venue which is completely Sold Out. 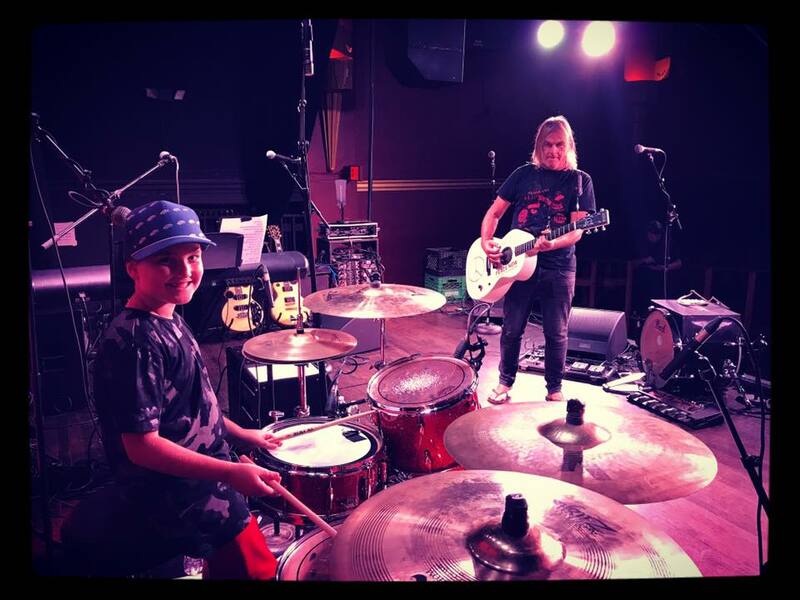 There is no opening act so Mike and his young son Evan (who is the drummer in the family), had an extended Jam session playing ‘My Generation’ by (Evan’s favourite band), The Who. The Magic Bag Concert Hall is packed to the rafters as the band head out on to the stage. It’s a fantastic setting for a gig. Standing down the front and then two tired raised areas of additional standing room that gives the impression of playing to a wall of people. The noise from the crowd is deafening as Mike stirs up the atmosphere and gives everything he has. The audience are with him all the way, pushing the band to a crescendo of rock and roll excitement that includes an off the cuff yet explosive version of The Clash anthem – ‘White Riot’. 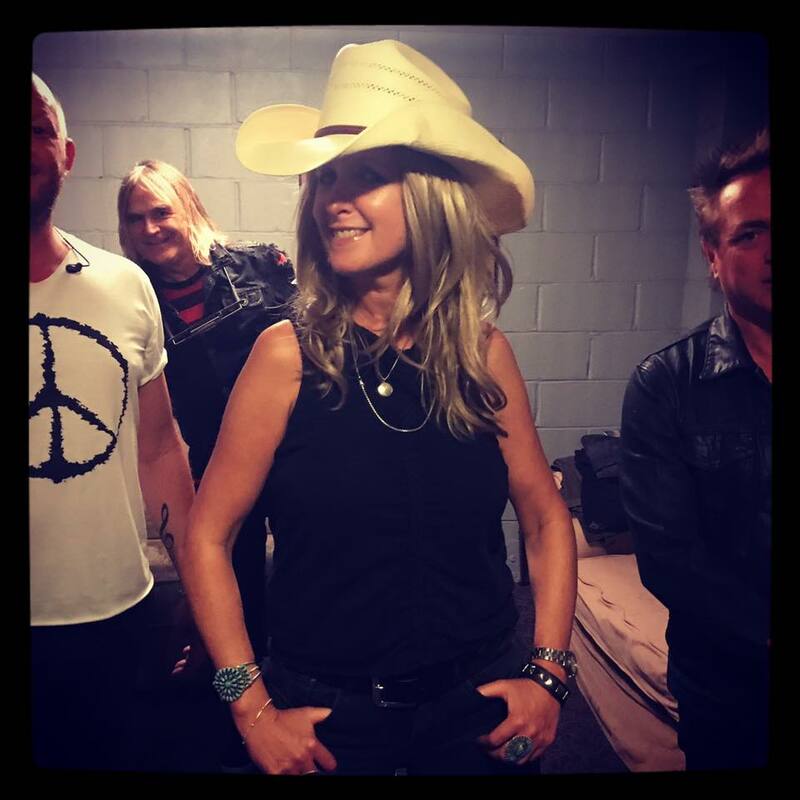 It seems like the vibe and excitement generated by this tour is taking The Alarm’s spirit to a much wider audience and all the great reviews and social media response is creating a real sense of anticipation at every venue the band play. Motown rocked hard tonight, that’s for sure, and there were even people (who couldn’t get tickets), listening outside the stage door, which is a real sign that something special is going down. Cleveland is next. The Music Box in Cleveland is a very different venue from Detroit. Tonight the group will play to a seated audience. As Mike Peters walked out on to the stage to begin, every seat was taken and you could tell something magical was about to happen. Tonight the band played a completely chronological set list that took the fans through the history of The Alarm from ‘Unsafe’ to ’45 RPM’ and into the future represented by ‘Two Rivers’. There were stories galore from all eras of the timeline. Mike found time to play ‘Walk Forever’ after ‘Absolute Reality’ by recounting the fact that it was the first Alarm song written that included the three words LOVE, HOPE and STRENGTH. He dedicated the song to Jules and informed everyone that the couple were celebrating their 29th Wedding Anniversary. 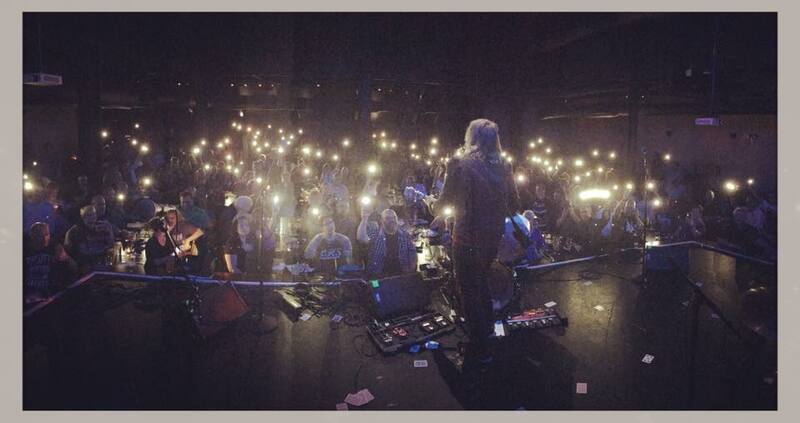 In light of their well documented struggles of the last twelve months it was a beautiful moment as the entire audience honoured the couple by lighting the stage with their cell phone flashlights. By the end of the set, the seated venue was transformed into a standing only rock concert and a truly enlightening evening was brought to a close with the promise of a return to Cleveland in 2018. 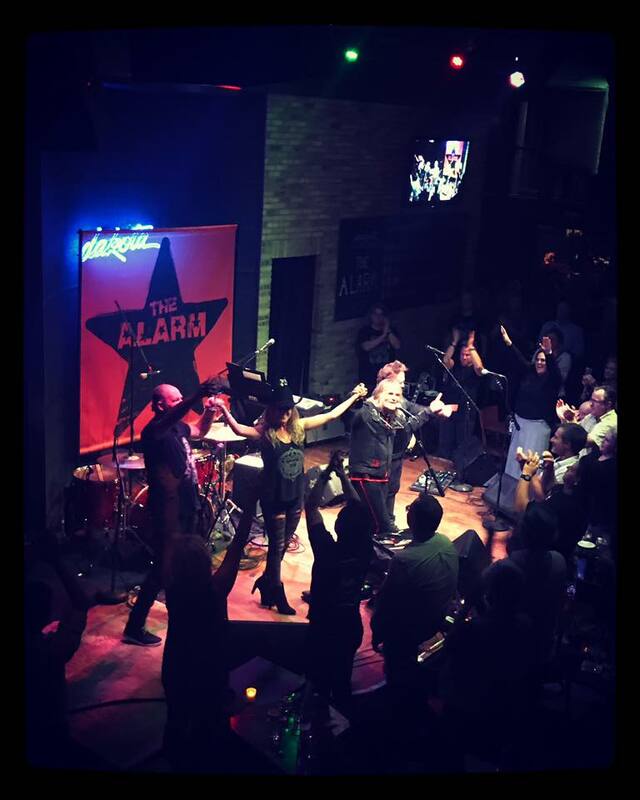 The tour bus turned 360 degrees and began the long haul back West towards Chicago for a return visit, only this time into the very heart of the downtown area itself and a ‘live’ to camera performance to be filmed by JBTV that will be syndicated all across the USA. The band chose to record a seven song set that would showcase a more modern outlook and so elected to open with ‘Superchannel’ and ‘Kill To Get What You Want [Die For What You Believe In]. The lunchtime audience of Alarm fans (many dressed in business suits and obviously taking a hour out from work), were excited to hear ‘The Drunk and The Disorderly’ being introduced as Mike, Smiley and James performed as a power trio and whipped up a might storm of rock and roll dynamism that I can’t wait to see on film. It was brilliant version with each member throwing themselves into every note, beat and lyric sung. No holding back for tonight then lads!! ‘Two Rivers’ was introduced mid set with an added harmonica intro that enhanced the drama of the melody that rises from a whisper to a scream and back again. 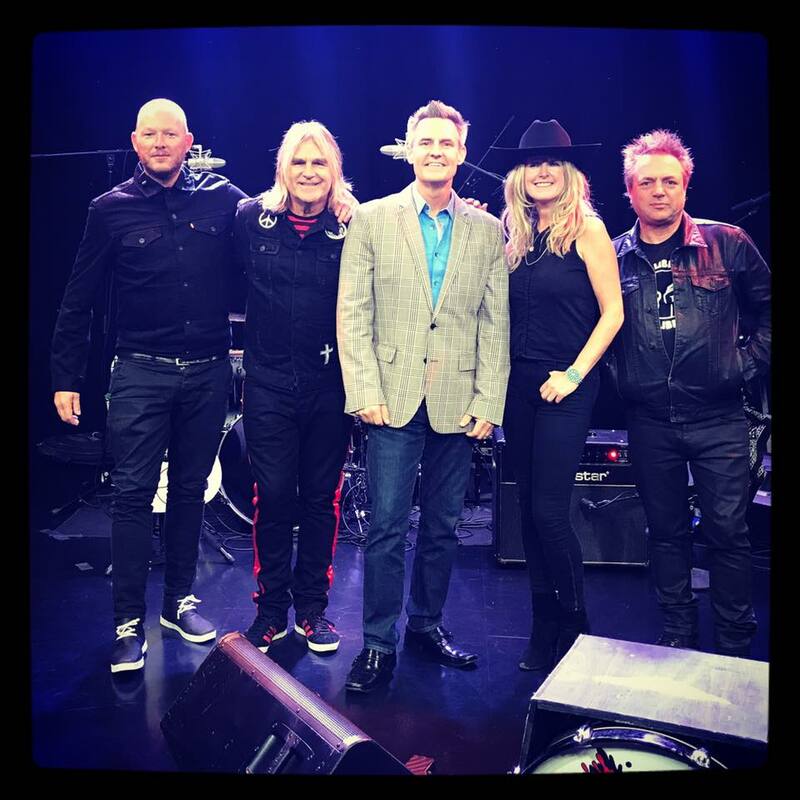 The taping was closed out with ‘Sixty Eight Guns’ and a spirtiualised ‘Blaze Of Glory’ that featured a soulful Mike Peters vocal performance amid extended harmonica and drum interplay. The gear was broken down while Mike conducted the interview segment and then it was on to the City Winery Music Venue which was again completely Sold Out in advance. 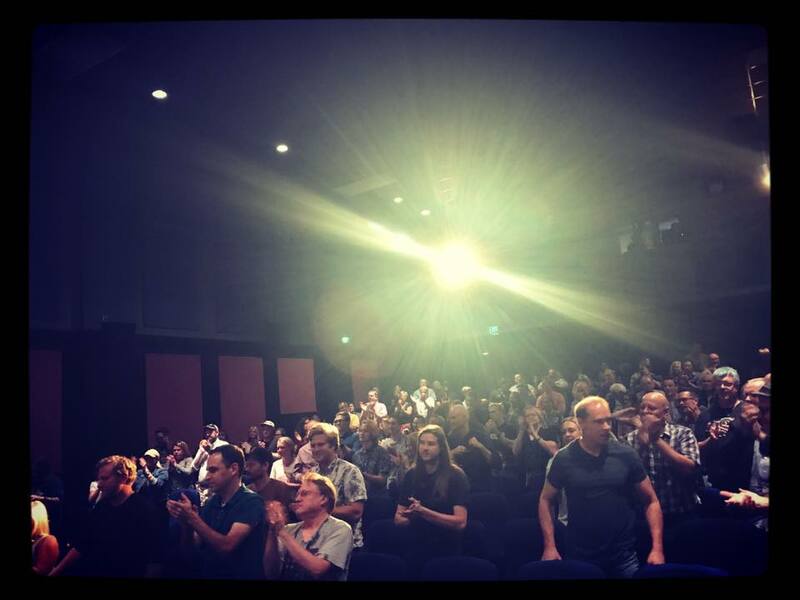 There was a screening of ‘Man In The Camo Jacket’ and Mike was invited to the stage for a Q&A only to be greeted by a reverential standing ovation. Minutes later the Man In The Camo Jacket became The Man in The Alarm and the group staged another fine performance that ebbed and flowed with grace and power. Once again, Mike, Jules, James and Smiley gave all they had to give and you could not tell that this was the second live concert of the day. The playing was faultless throughout, Mike’s guitar playing was taut and his voice crisp and clear, Jules keyboards enhanced both the atmosphere and power of songs like ‘Breathe’ and ‘Strength’. James’ melodic bass playing perfectly compliments Smiley’s flamboyant stylings on the drums, all the while creating the solid rock that Mike’s energy and driving force demands. The Alarm of 2017 sounding better than ever. Minneapolis turned out to be another fine Alarm day. 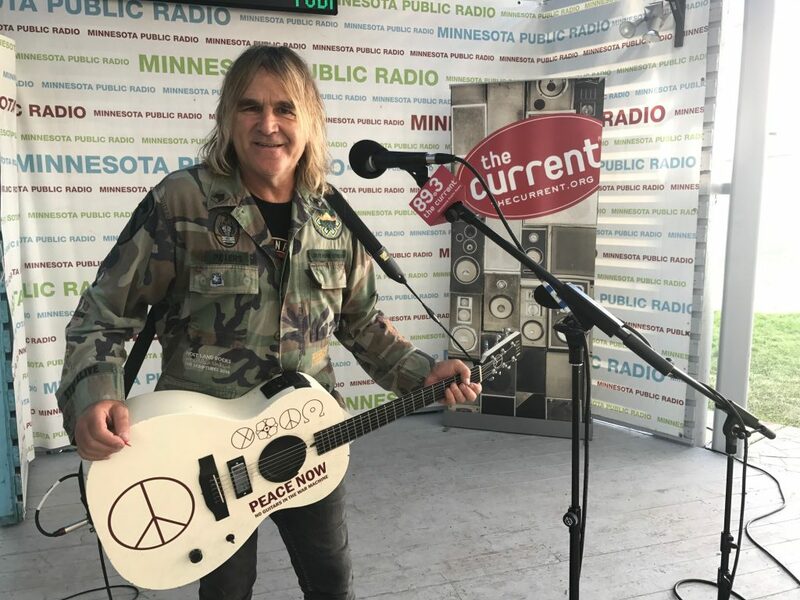 Upon arrival Mike Peters was whisked over to Minneapolis State Fair to perform a set for popular local radio station ‘The Current’. Mike performed a three song set to an expectant crowd and was interviewed by DJ Mark Wheat. Back at the Dakota venue, the band were due on stage early at 7:30 and Mike only just made it back in time. Tonight they turned the set list up side down and began with ‘Spirit Of ’76’. ‘The Stand’ followed and the three mic set up that Mike Peters currently utilises worked brilliantly in this setting. The venue was really wide and so Mike was able to address all sides of the room sprinting from left to right to centre between lyrics, verses and choruses. It was a night for the unexpected as Mike took requests and was asked to play ‘Eye Of The Hurricane’. He even dusted off a version of ‘In A Big Country’ in between a ‘Deeside’ and ‘No Frontiers’. 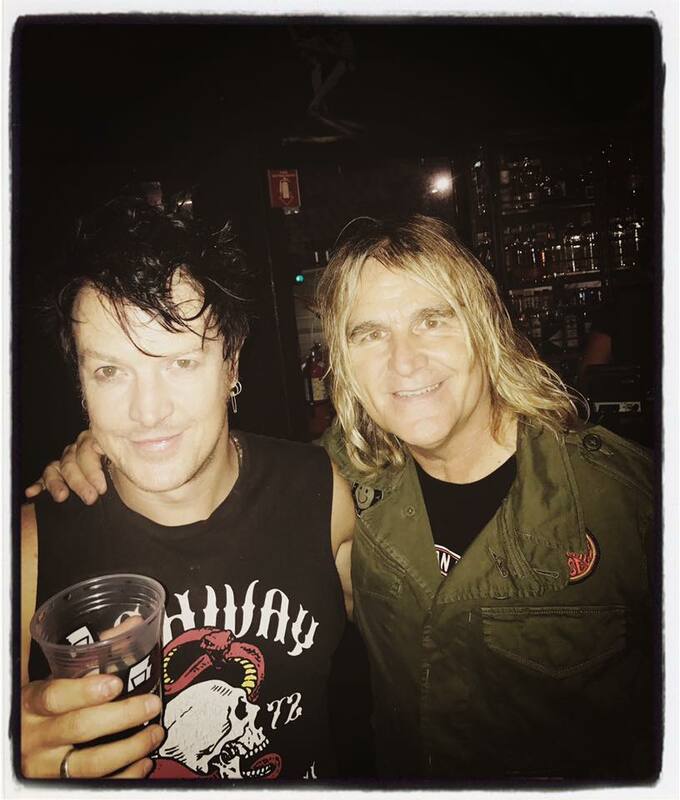 After the set closed with ‘Strength’, the band and crew headed to the legendary 1st Avenue venue to meet Jack Tars guitarist Chris Cheney (who was playing with his band The Living End). 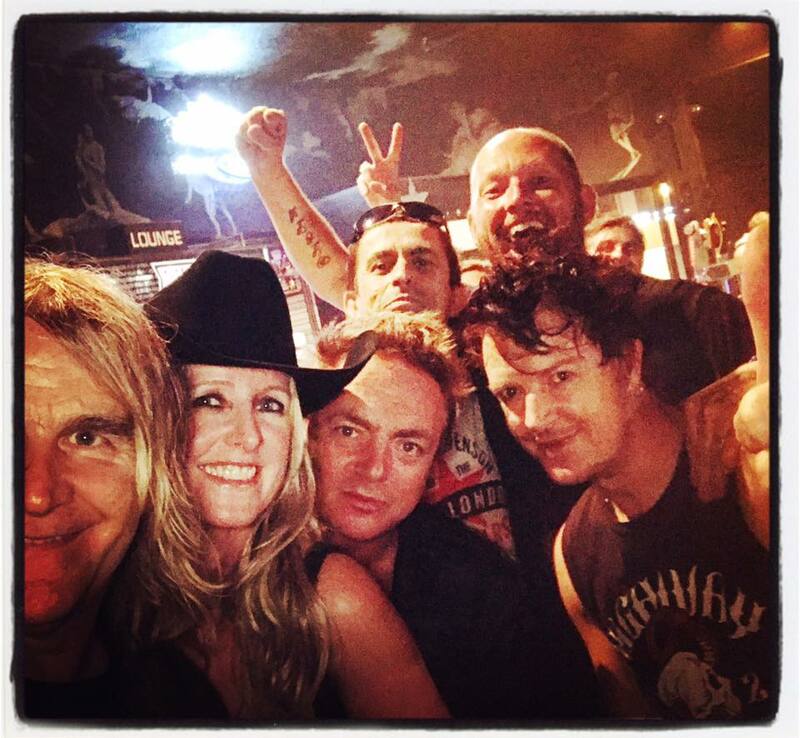 The Living End were opening for fellow Australian’s Midnight Oil and a great night was had by all. 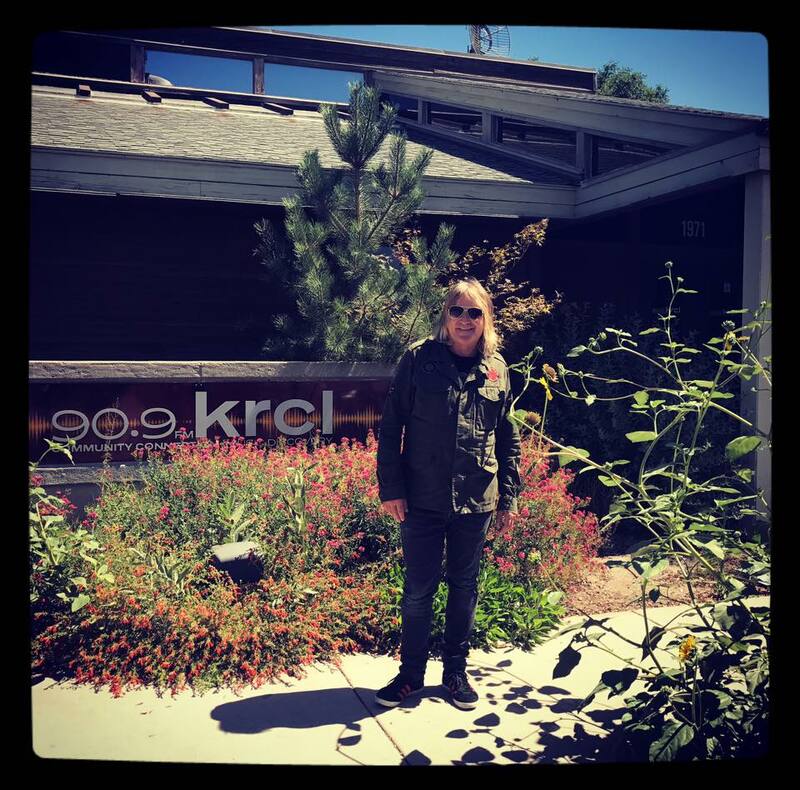 It was a long drive south to Milwaukee and the final night of the tour but there was still time to roll onto Madison for a live session on the Triple MMM Radio Station. It turned out to be a detour worth taking as the band put in a fine acoustic performance and interview. The concert at Shank Hall was spectacular. 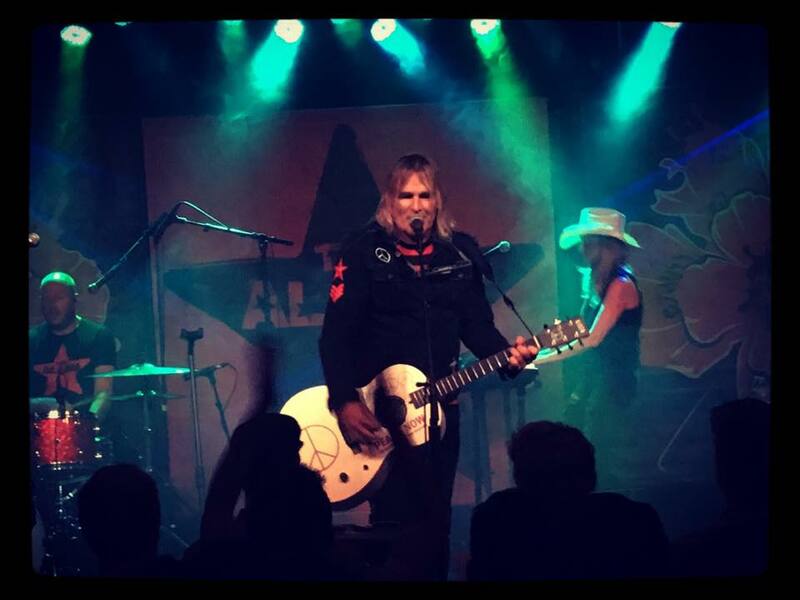 Again, Mike Peters threw out the rule book as the set began with Blaze Of Glory. Mike offered the set list up to the audience to make up as they went along and the first song called for was ‘The Deceiver’. ‘Knife Edge’ and ‘Day The Ravens Left The Tower’ made appearances. The rapport between the musicians and fans was amazing. Mike brought up an old friend from IRS Records named Barbara Bolan onto the stage and told the fans that Barbara had been responsible for getting every Alarm record of the 1980’s into record stores and an acoustic ‘Sold Me Down The River’ was encored before the finale of ‘Two Rivers’ which just gets better every time it’s played. 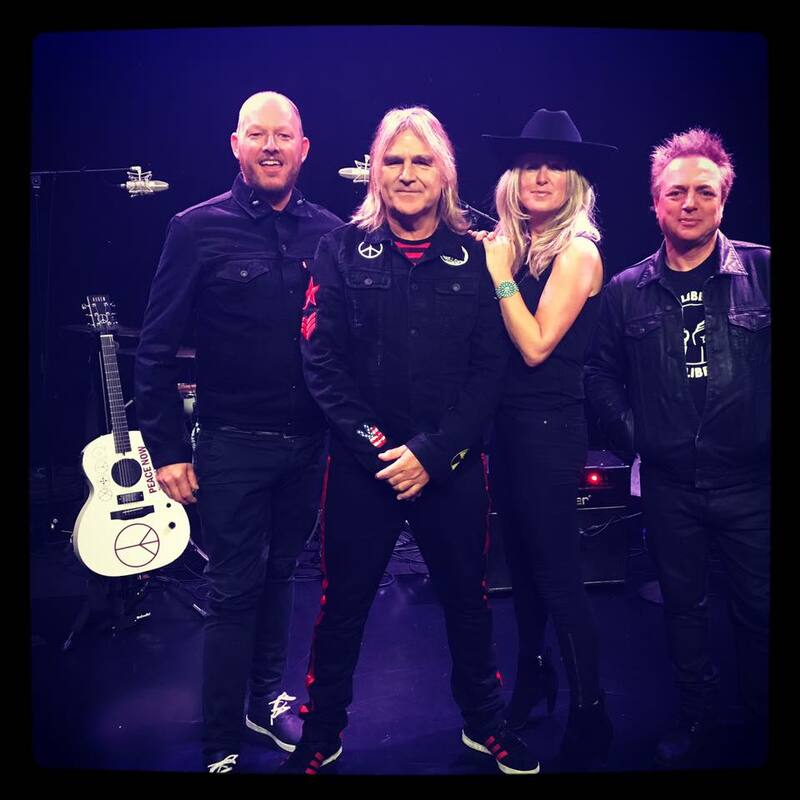 Tonight it took on new significance as it heralded both the end of the tour and the beginning of the future with Mike promising to be back in 2018 with a new album and concert dates.”I’ll be there in the blood red viral black” sang Mike Peters before exiting stage right. 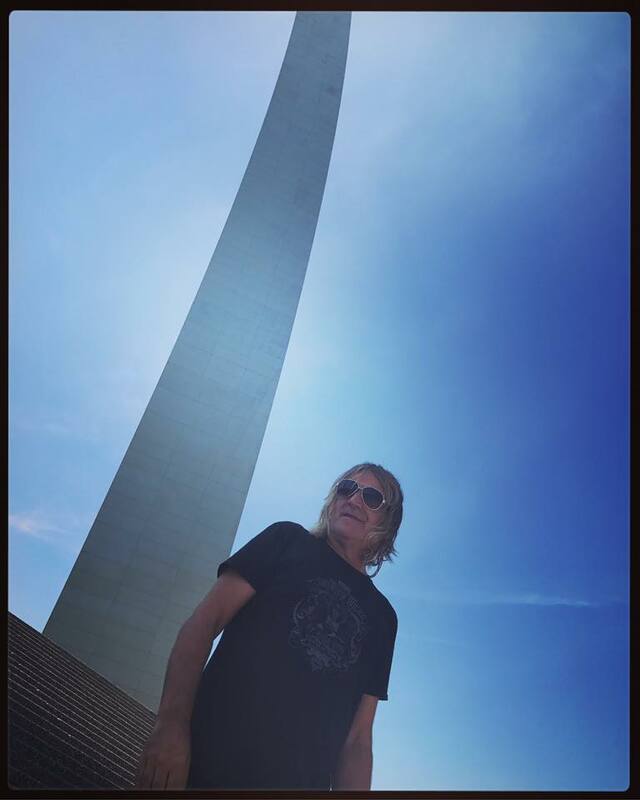 US fans can see Mike Peters on national TV this weekend on the NBC Extra programme which will air at various times across the country. Next stop home and the UK…. 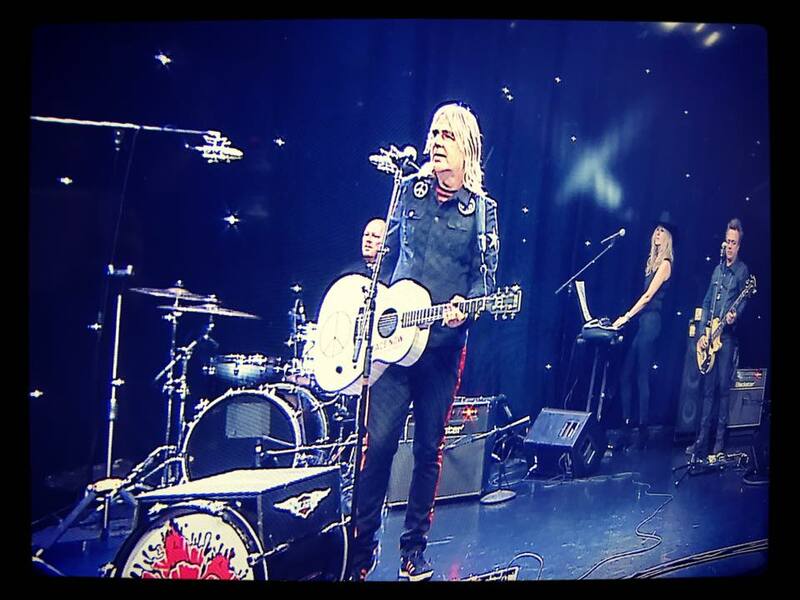 Mike Peters on NBC EXTRA TV Show all across the USA this weekend.